Our range of children's wooden climbing frames are designed for your children in your back garden. Our play equipment has a selection of popular features such as swings, slides, monkey bars, climbing walls, and integrated playhouses. Suitable for children aged 3-12yrs of all abilities, and specifically manufactured to make DIY home-build as easy as possible. 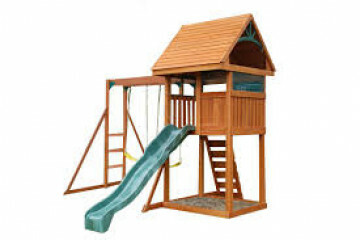 We have the best selection of wooden climbing frames in New Zealand, including a selection of play systems with swings for those with limited space for kids play equipment. All our climbing frames are manufactured from premium cedar, and Selwood Climbing Frames and wooden cubby houses include a 10-year wood warranty so you can rest assured they're fun, safe and durable! If you need any help choosing a climbing frame please don't hesitate to contact us via live chat, email or telephone.